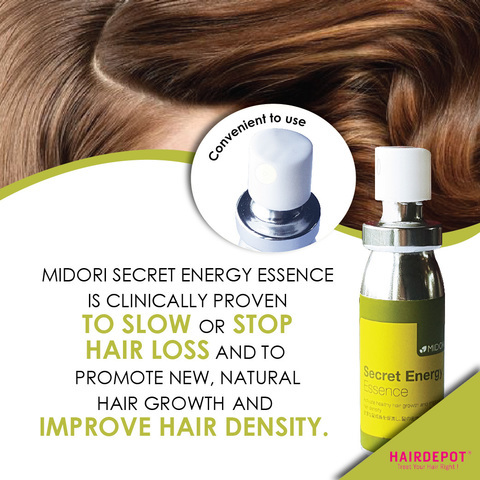 MIDORI SECRET ENERGY ESSENCE 15ML – HAIRDEPOT - Hair & Scalp Care Products, Prevent Hair Loss, Shampoo, Conditioner, Treatment, Styling, Appliances and more! and to promote new, natural hair growth and improve hair density. 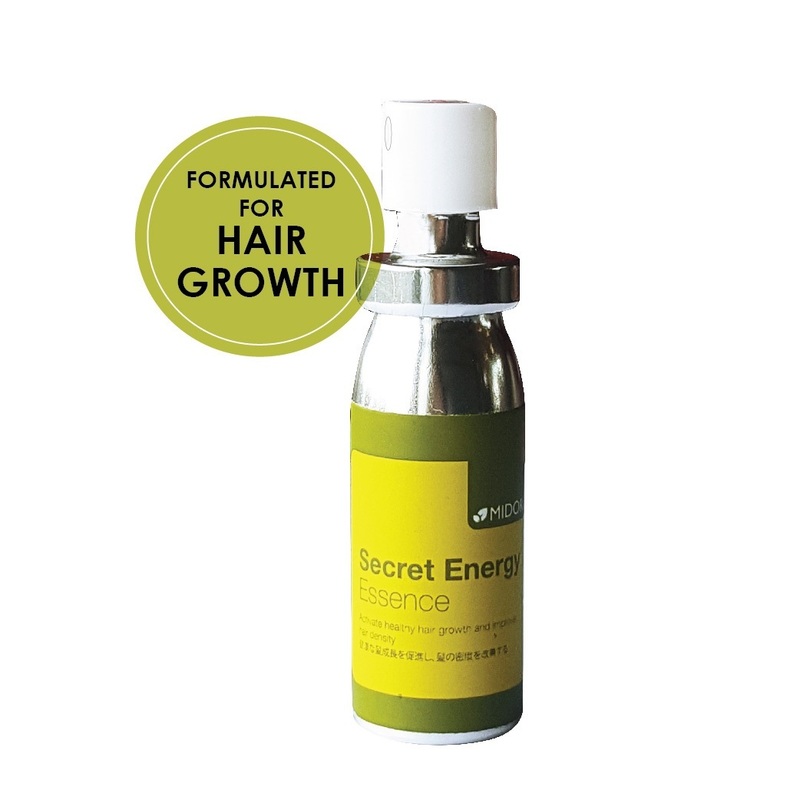 Trichogen: botanical complex formulated to combat hair loss and thinning by increasing circulation to the scalp, while blocking DHT and irrigating and cleansing. found in vitamins for hair growth. 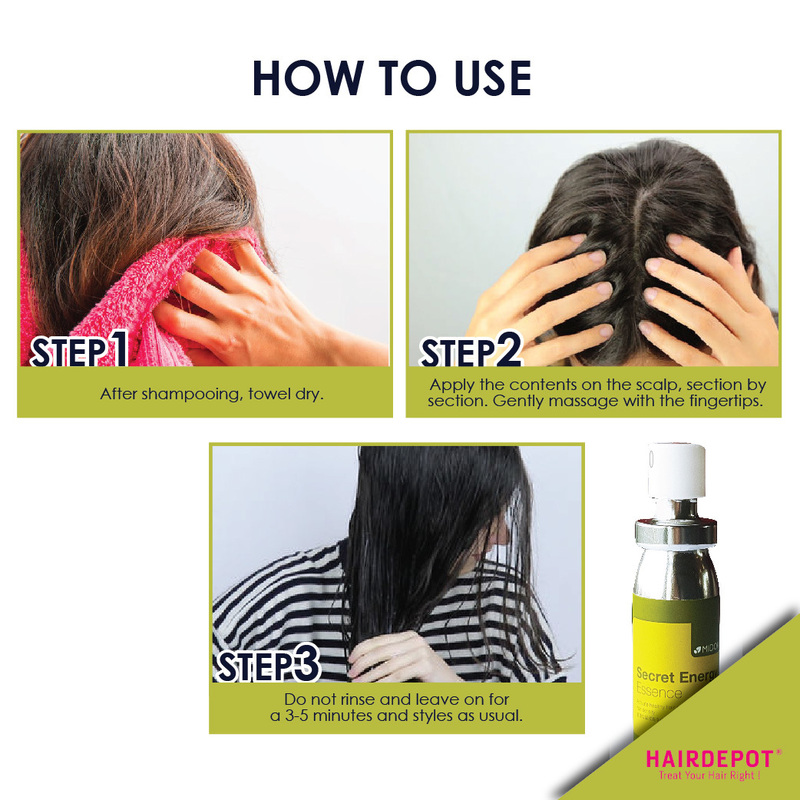 After shampooing, towel dry and then apply the contents of the ampoule on the scalp, section by section. Gently massage in with the fingertips, rub in with a light circular massage for optimum absorption. Leave on for a 3-5 minutes and styles as usual. DO NOT RINSE. 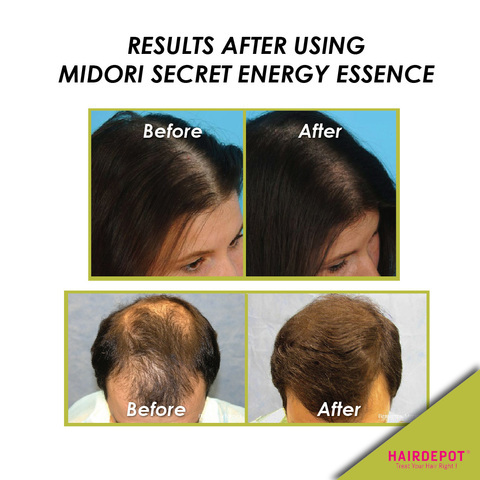 week, during a 4 week period.